← Not the coldest day. 8C, windy with rain later. School trip to the National Museum Of Computing. We met Collosus, The Which, but no Lorentz machine. However, view did have an RM 380Z. 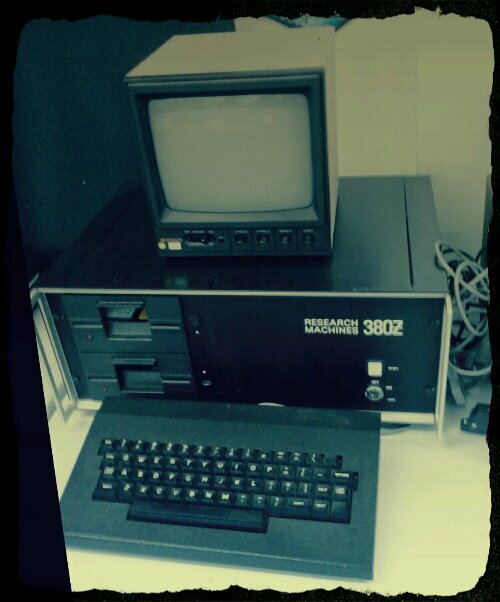 The very same model that I did my O-level computing with. We were the first year to submit coursework on floppy disk instead of ticker-tape. The trip was great, the place was run by enthusiastic volunteers who put on well performed presentations for the kids. This entry was posted in Work and tagged computing, museum, school trip. Bookmark the permalink.